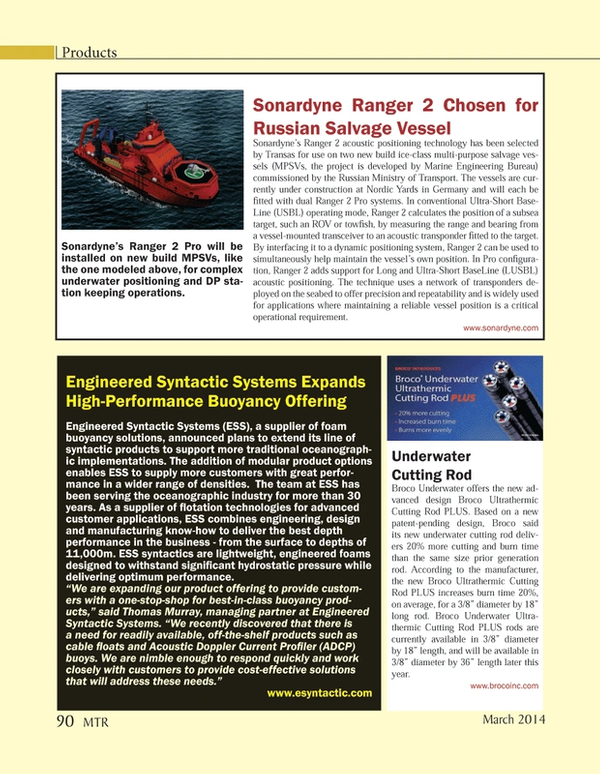 Sonardyne’s Ranger 2 acoustic positioning technology has been selected by Transas for use on two new build ice-class multi-purpose salvage vessels (MPSVs, the project is developed by Marine Engineering Bureau) commissioned by the Russian Ministry of Transport. The vessels are currently under construction at Nordic Yards in Germany and will each be fitted with dual Ranger 2 Pro systems. In conventional Ultra-Short BaseLine (USBL) operating mode, Ranger 2 calculates the position of a subsea target, such an ROV or towfish, by measuring the range and bearing from a vessel-mounted transceiver to an acoustic transponder fitted to the target. By interfacing it to a dynamic positioning system, Ranger 2 can be used to simultaneously help maintain the vessel’s own position. In Pro configuration, Ranger 2 adds support for Long and Ultra-Short BaseLine (LUSBL) acoustic positioning. The technique uses a network of transponders deployed on the seabed to offer precision and repeatability and is widely used for applications where maintaining a reliable vessel position is a critical operational requirement.